I didn't actually intend to read in July. Lately, I've found myself pushing to finish books or to at least delete them/get rid of them if I never intended to finish them. It was like checking off boxes. This has been happening for yearsssss now and it's a hard cycle to break. Of course I like to read! This isn't even about reading though; it's about my perfectionist tendencies of "completion" and "done" and "accomplishment". It's about checking off the boxes and I hate that. However, as soon as I told myself I didn't have to read anymore, I stopped reading for about two weeks (seriously, not a word) and then I found myself feeling like reading wouldn't be the worst thing in the world. I have discovered, through this process of manipulating my thoughts about reading, that I need to read books I actually want to read and not read books because someone else recommends them. For instance, I saw a Facebook friend post that The Nightingale was one of the best books she'd ever read. This person is a librarian so I know she takes books seriously too. However, I read The Nightingale two years ago and I didn't think quite as highly of it. Some books get better in hindsight but this is one I'd probably give a C- if I could go back and rate it again. On the flip side, I didn't like the audio of The Guernsey Literary and Potato Peel Pie Society at ALL, but I would think trying a paperback might be okay because maybe it just wasn't for me at the time. So, reading a book because someone recommends it, I've learned, isn't something that usually works for me. Without even really trying, these are the books I kind of fell into in July. This was good. My co-worker and I had both pre-ordered it (it came out July 11th) and we both really enjoyed it and exchanged some text messages including heart-eye emojis about it and I would highly recommend the series, but I don't know that anyone has ever taken me up on it. Not going to lie: two hours into the audio, I was bored stiff. I was thinking I'd made a huge mistake...that everything I knew about TJR was a lie. I turned it off for almost a month and had no desire to dive back in and I was dreading writing this post because I'd have to be all "DNF" and I couldn't even find more than a couple of bad reviews on Goodreads and then I'd have to be that person. The story got a little better and it got slightly more interesting and I didn't hate it anymore. I will say that I didn't like Evelyn and never really rooted for her and Monique was even worse. I could see shades of the typical character TJR usually writes in Monique but I didn't like her or feel for her. TL;DR: It was a solid story but I didn't love the characters. Harry was probably my favorite one but he was pretty two-dimensional. I actually paid the $10 for this book, because that's how much I wanted to read it. If you are a teacher, there are too many takeaways for me to list. I took a lot of notes. Essentially, it explains things you can do to give your best to your classroom while getting the most out of it for a balanced life. Only a teacher would like it, obviously, but it was fascinating to me. It wasn't written in quick "Buzzfeed"-style list form with impractical advice. It was definitely a deep dive into the topic. I grew up reading Sweet Valley Kids and Sweet Valley Twins. In middle school, I started reading Sweet Valley Jr. High (a modern version of Sweet Valley Twins) and Sweet Valley Senior Year (a more modern version of the regular Sweet Valley books). I spent all my money on Sweet Valley books when I was younger and I don't think I ever actually purchased a Baby-Sitters' Club book...I just read those from the library. In short, this book was awful. So terrible. It was the on-steroids version of what the characters would eventually morph into. Jessica was awful. Elizabeth was a wimp. Mr. Collins was slightly creepy. But mostly, Jessica was awful. 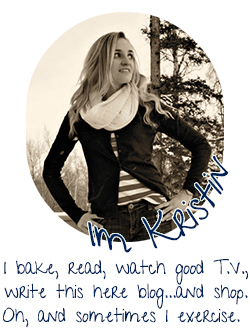 And the descriptive writing was a little bit terrible. If you have daughters who would be interested in the books (because a great serial never goes out of style), I would HIGHLY RECOMMEND the Jr. High books or the Senior Year books. I owned most of them but they've disappeared over the years. Thank goodness for Amazon. I just ordered this one because I feel like reading it again. 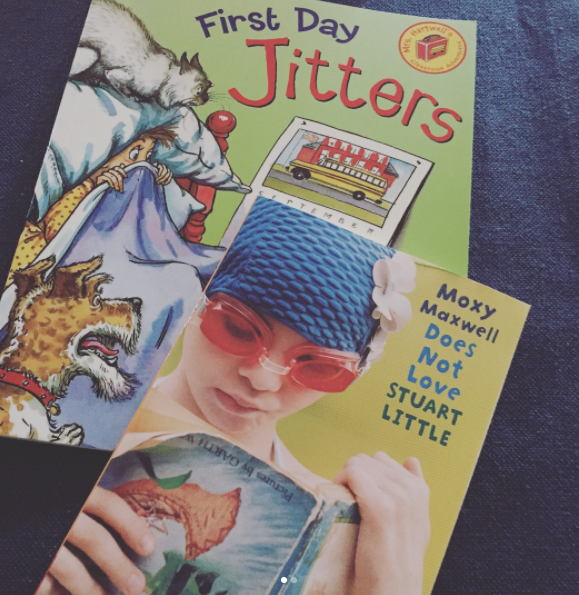 Moxy Maxwell Does Not Love Stuart Little by Peggy Gifford and First Day Jitters by Julie Danneberg in preparation for the first week of school. Both were new to me and good for, I hope, the coming weeks. I definitely think descriptions are a lot more useful than just plain recommendations. Reading tastes are very subjective...I've noticed I tend to read a lot more "guy" type of books (like adventure novels with almost no female characters) and I enjoy them but I wouldn't necessarily recommend them because I know most of my friends would not enjoy that genre. I'm in the middle of Evelyn Hugo and while it isn't grabbing me as much as a normal TJR book, I'm still into it. You're right about the characters being flat, but I kind of like Evelyn for doing what she needs to and owning it (I'm about halfway through). I have found that my expectations can affect how I perceive books for sure. I normally like a book better when I can't remember how it got on my TBR or that so and so liked it. It's nice to go in a bit blind. I've heard so many things about TJR books and while they're ok "beach reads", I wouldn't actively be searching/waiting for them. I've come to realize that romancey, familial drama type books aren't my cup of tea; I prefer sci-fi action, espionage, gritty cop/drug cartel stories instead. I'm starting to read mixed reviews of Evelyn Hugo. I really wanted it to by my first TJR book but now I'm having second thoughts. I don't really trust book recommendations, and would agree with Rachel's comment. I like to sort of synthesize my own recommendations from multiple sources. I read a lot of blog/instagram book reviews, I should probably count them in my monthly reading totals :) Just curious, no recommendations here, What are your favorite kinds of books? You seem to read a pretty good mix of everything. I sometimes feel pressure to read deep, thought-provoking books. And those are fine. I just can't do that all the time. My brain wants some entertainment while reading too. I'm still working on finding the balance between lighter books and ones with more meaning. I've wanted to re-read all the Judy Blume books that I grew up on & am afraid they'll be junk to me now when I remember them from childhood as being amazing. I've read two of the Denise Swank books. I love TJR. I know what I'm getting when I read her books and I appreciate that sometimes. Re: recommendations. They are just that. Suggestions. Just because someone recommends a book doesn't make you obligated to read it. Read what you want. I'm scared to reread most of the books from my childhood! Haha. I definitely read tons of Sweet Valley books, up to the college years which had some crime/supernatural elements even. I loved Evelyn Hugo but it was my first TJR book so I have no idea how it relates to her other books. Sometimes I am negatively influenced by recommendations in that I read a book that gets so much praise that isn't one I would have chosen on my own and hate it. The flip side, is sometimes I also end up loving that book. Ironically that happened to me with The Nightingale. :D And I remember loving Sweet Valley High books when I was in middle school but I'd be scared to reread them again. My own reading tastes are super subjective, much like everyone else. I have a few friends/bloggers/etc whose tastes are quite similar, so I usually prefer their recommendations but I usually do end up going with books that have descriptions that sound amazing to me. I also don't have a problem DNFing books anymore so I always feel like it's okay to give it a try and then abandon it if necessary. I have the first Rose Gardner book on kindle but haven't gotten to it yet! I will, though!! ;) It sounds like my type of book for sure. i sometimes feel the need to tick things off a list or complete a task, which is why i have such a hard time quitting books. but i am pretty good about not forcing myself to read, it really does take the joy out of it. and 100 times yes about reading what you want to read. it's so easy to get swept up in recommendations, but the second i pick up a book because someone else loved it and not because it sounds like something i would like, it's not going to end well. i try not to be too over the top with my recommendations either because just because i like something doesn't mean anyone else would (like The Guernsey Literary and Potato Peel Pie Society is one of my favourites OF ALL TIME but i get it, truly i do). But then sometimes recommendations do work? Like the martian is not something i would have picked up, i'm glad i did, i'm glad i didn't shut up about it until most people i knew had read it. so you know. it's a balance. oh lord i LOVED sweet valley, every single one of them - kids, high, whatever. i read them all. all out of order of course, but loved them all the same. i was also a huge BSC fan, but i loved BSC first and then moved up to sweet valley. anywho. i honestly don't think i could read sweet valley now. i don't want to ruin my childhood haha. 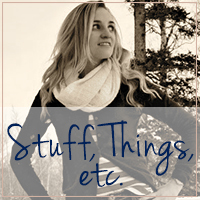 did you read the most recent one? 10 years later or something? such a bummer. I have become aware of that same issue in myself lately that I've been reading certain books because "everyone" is reading & loving them but often those are the ones I've been struggling through or not finishing - The Nightingale was also one of those for me as well as, this month - Samuel Hawley. I should have known better! I think I need to trust my own instincts a little more about what books I want to read. Although that said there have definitely been times I've taken an unlikely recommendation and completely loved it. It's hard to find that balance! Maybe, for me at least, a good solution would be to accept more DNFs - Then I can give a recommendation a chance but stop feeling so bad about quitting on it. I looooved the Sweet Valley Senior Year and Junior High series and still have most of them. I feel like I probably wouldn't appreciate them as much reading them as an adult, but I have been tempted to reread one recently. I'm always kind of weird about recommendations too, more so because I get nervous someone won't like a book I suggest, which is so stupid because it really doesn't matter because everyone has different tastes. I'm pretty sure it's a mutual friend of ours who posted about The Nightingale I actually thought of you when I saw it. I liked it, but I wasn't in love with it. Andrew Clement has a new book out called The Loser's Club and it's the reading side of things, whereas Frindle was more writing. It's really good! I'm with you on reading what you want though. I like recommendations, especially from other bloggers, but I'm not going to read something JUST because everyone loves it. I have to be interested by it! I really liked Evelyn Hugo, but completely agree with you about the characters. I didn't like any of them!